Going digital isn’t really a thing anymore. Everything is digital. Fighting that is a bit futile at this point. So, I present to you, going with the flow (current?). 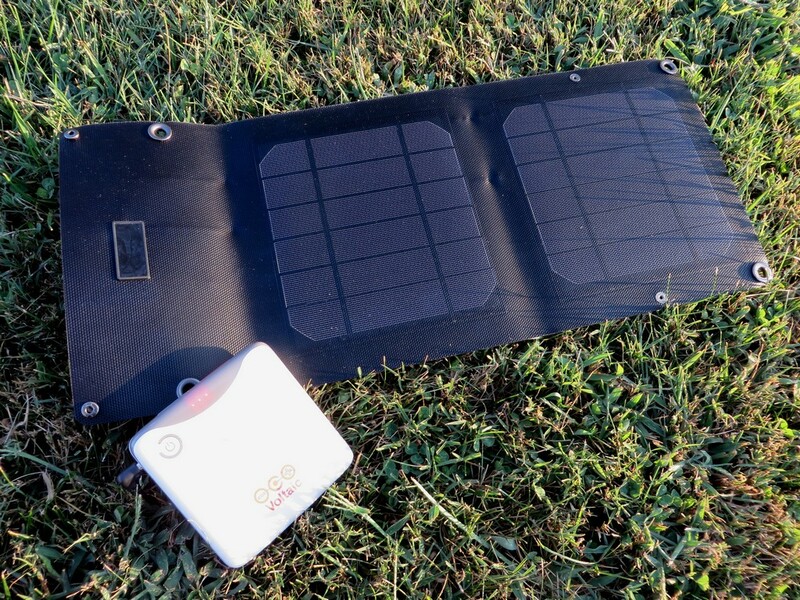 The Arc 8W solar Charger is capable of keeping your gear charged and functional, without breaking the bank. 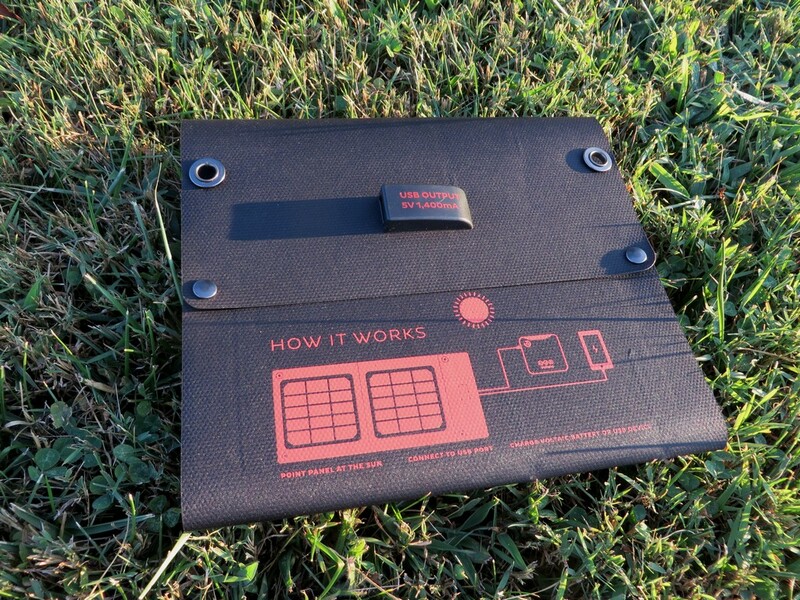 The Arc is a folding, compact solar charger. Two large panels pointed directly into the sun can produce 8 watts of power, which is enough to charge phones, e-readers, GoPro cameras, and even tablets. The kit consists of the two panels, coated with ETFE (a UV resistant plastic) for add durability and sun damage resistance. The panels fold up, clipping together to form a small panel that’s easy to pack away. 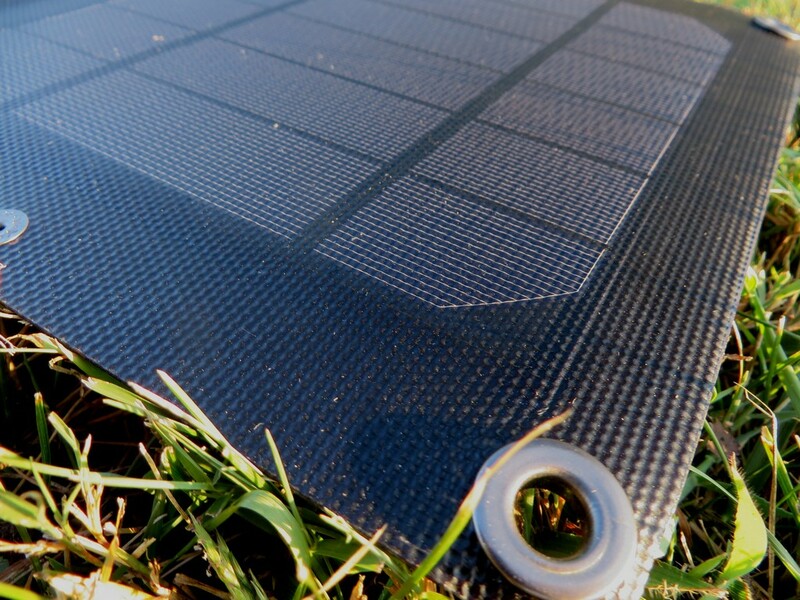 Small grommets allow the panels to be connected to a pack, for charging while hiking, or to trees, tents or other structures. A built-in regulated USB output trickles precious energy directly to your device, or to an optional battery pack (several available, starting at $35). The kit weighs just over 11 ounces, and retails for $75. It works. Free power is a precious thing, especially if you rely on your equipment for entertainment, navigation, and lighting. Two days of full sun exposure was able to fully charge a massive 12,000mAH external battery (The V44 battery, also from Voltaic Systems), which can fully charge smaller tablets about 1.5 times. I was able to full recharge my phone in about a day with moderate sunlight. Indirect and even diffused light under cloudy skies was able provide enough of a gradient to keep my devices charging. The Arc 8W is super easy to use. Plug something in, and lay it in the sunlight. That’s it. It’s light weight, and pretty small. Folded up, it’s 9″ x 8″, and unfolded it’s roughly 9″ x 20″, providing a large charging surface. Packed away, it slides just about anywhere. Inside school bags, into the bladder compartment of a pack, or straps safely onto the back of a standard day or overnight pack. It’s build quality is also pretty solid. The ETFE will prolong the usable life of the product, while a sturdy overall build makes for a rigid, yet fold-able design. The USB port seems to be molded directly in, while the steel grommets are easily able to take the weight of the charger. The standard USB connection makes for compatibility with a wide array of accessories and devices, assuming you have the cables. The Arc is useful not only when hiking or backpacking, but also in the even of power outages. It’s great to have around. Shown with the optional battery pack. The USB port allows for a little bit of wiggling on the USB cable. I’ve had no problems at all, but I would like to see a tighter connection. No included battery, cables, or mounting options to work with the grommets. Having the ability to charge any usb device on the trail can not only be convenient, in the right circumstances it could even save your life. In a world that’s increasingly reliant on power, having constant access to it will become more and more important. Voltaic Systems is pursuing this need aggressively. The Arc 8W solar charge is light weight, durable, and produces powerful and steady enough charge in a wide variety of conditions to charge just about any USB device. Aside from a couple minor complaints, there really isn’t a reason to not recommend the Arc 8W solar charger. For more information on Voltaic Systems and their products, check out Voltaicsystems.com. For information on our rating system and our testing procedures, check out our About us/ Contact us page. 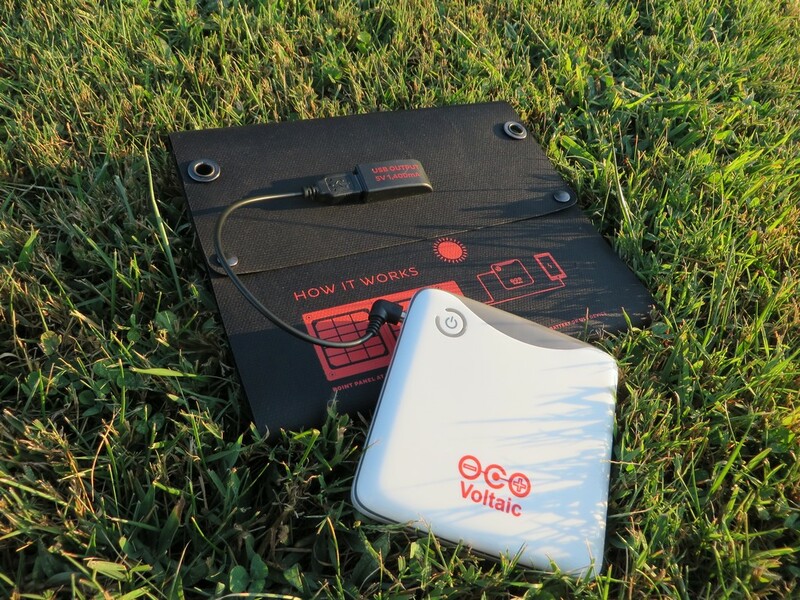 I want to extend a big thanks to Voltaic Systems for their support and for providing us this great solar charger for review. Our full disclosure can be found here.